My Take on it – This movie is one of those movies that are enjoyable to watch but usually only once. The subject matter is very dark, but also gripping and disturbing at the same time. 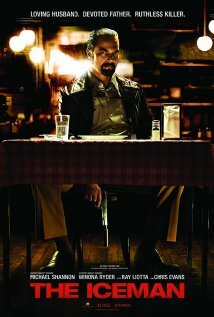 Michael Shannon does a great job here of playing the part of part time family man and part time hit man. He acts each part so well that you would think that he is 2 separate actors. I’m actually quite amazed that this story really happened and I have heard that as good as this movie is, the book it is based on is even better since it’s even more descriptive. This is generally not the genre that I usually like, but I definitely see the merit in the story and the acting here. The idea that someone could manage to pull off this double-life in reality is just mind boggling. Bottom Line – Dark themes, powerful, gripping and disturbing movie. Recommended!